Berkeley Lab researchers are developing a promising treatment for safely decontaminating humans exposed to radioactive actinides from a major radiation exposure event, such as a nuclear reactor accident or a "dirty bomb" terrorist attack. 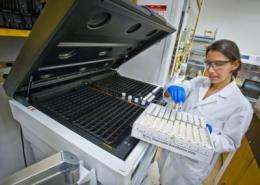 The treatment, which can be administered as a pill that can result in the excretion of approximately 90-percent of the actinide contaminants within 24 hours, has been advanced through the initial pre-clinical phases. 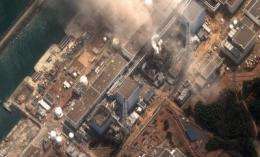 The New York Times recently reported that in the darkest moments of the triple meltdown last year of the Fukushima Daiichi nuclear power plant, Japanese officials considered the evacuation of the nearly 36 million residents of the Tokyo metropolitan area. The consideration of so drastic an action reflects the harsh fact that in the aftermath of a major radiation exposure event, such as a nuclear reactor accident or a "dirty bomb" terrorist attack, treatments for mass contamination are antiquated and very limited. The only chemical agent now available for decontamination  a compound known as DTPA - is a Cold War relic that must be administered intravenously and only partially removes some of the deadly actinides - the radioactive chemical elements spanning from actinium to lawrencium on the periodic table - that pose the greatest health threats. Scientists at the U.S. Department of Energy (DOE)'s Lawrence Berkeley National Laboratory (Berkeley Lab) are developing a much more effective alternative that decontaminates a large number of the actinides likely to be part of the radiation exposure from a nuclear plant or weapon, including plutonium, americium, curium, uranium and neptunium. Furthermore, the Berkeley Lab treatment can be administered orally in the form of a pill, a necessity for prompt treatment in the event of mass contamination. Depending on the level of radiation exposure and how soon treatment can start, one of these pills would result in the excretion of approximately 90-percent of the actinide contaminants within 24 hours. Taking one pill daily for two weeks should be enough to remove virtually all of the actinide contaminants. "With the expanding use of nuclear power and unfortunate possibility of nuclear weapon use, there is an urgent need to develop and implement an improved therapy for actinide contamination of a large population," says Rebecca Abergel, a chemist who leads the Bioactinide Group at Berkeley Lab's Glenn T. Seaborg Center. "We are now in the process of demonstrating that our actinide-specific decontaminating agents are ready for clinical development." Once actinides are ingested or inhaled, their radioactivity and cancerous interactions with cells and tissue demand they be immobilized and removed from the body as soon as possible. Abergel and her group are part of an effort at Berkeley Lab that began more than two decades ago under the leadership of Ken Raymond, a chemist who holds joint appointments with Berkeley Lab and the University of California (UC) Berkeley, where he is the Chancellor's Professor of Chemistry, in collaboration with the late Patricia Durbin. The primary goal of this project has been to identify sequestering agents that can encapsulate actinides into tightly bound cage-like chemical complexes for transport out of the body. The early focus of this research was on plutonium, the alpha particle-emitting actinide discovered by Berkeley Lab Nobel laureate Glenn Seaborg, and natural chelators, the crablike molecules that specifically bind with iron and other metal ions. "Since the biochemical properties of plutonium(IV) and iron(III) are similar, we modeled our sequestering agents after the chelating unit found in siderophores," Raymond says. Siderophores are small molecules secreted by bacteria to extract and solubilize iron. "This biomimetic approach enabled us to design multidentate hydroxypyridonate ligands that are unrivaled in terms of actinide-affinity, selectivity and efficiency." The two best candidate hydroxypyridonate ligands  nicknamed HOPO  developed by Abergel and her colleagues are a tetradentate, which has four chelating arms, and an octadentate, which has eight chelating arms. 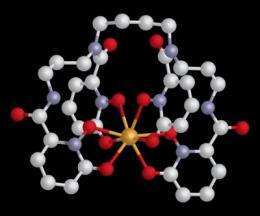 The "arms" in this case are atoms with pairs of electrons available for covalent bonding with an actinide. "We've advanced our two candidate ligands through the initial phases of pre-clinical development by successfully scaling up synthesis to the 5-kilograms level and establishing baseline preparation and analytical methods suitable for manufacturing larger amounts under good manufacturing practice guidelines," Abergel says. "A single octadentate HOPO can form a full actinide complex and results in more total actinide excretion," Abergel says. "However, it is easier for the smaller tetradentate HOPO to pass through biological membranes and access desired target sites in the body. Both warrant further development for emergency use in the case of a radiological event." "As we move further along with the FDA process it should be easier to convince private pharmaceutical companies to get involved," Abergel says. Our reliance on private pharmaceutical companies screws us yet again. Actinides are not terribly radioactive, not terribly volatile in a nuclear accident, not very mobile in the environment and not easy to disperse with a bomb. There are exactly zero recorded cases of people dying from radition poisoning by actinides. People worry about them because they have a relatively long half-life, but not long enough that they are harmless; therefor they should be stored for a long time. In particular, in a nuclear accident like Fukushima a few volatile, short-lived isotopes cause nearly all the trouble; especially cesium and iodine. The actinides have not gone anywhere other than a molten pile of gunk at the bottom of the reactor.